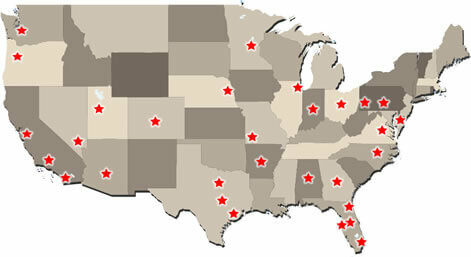 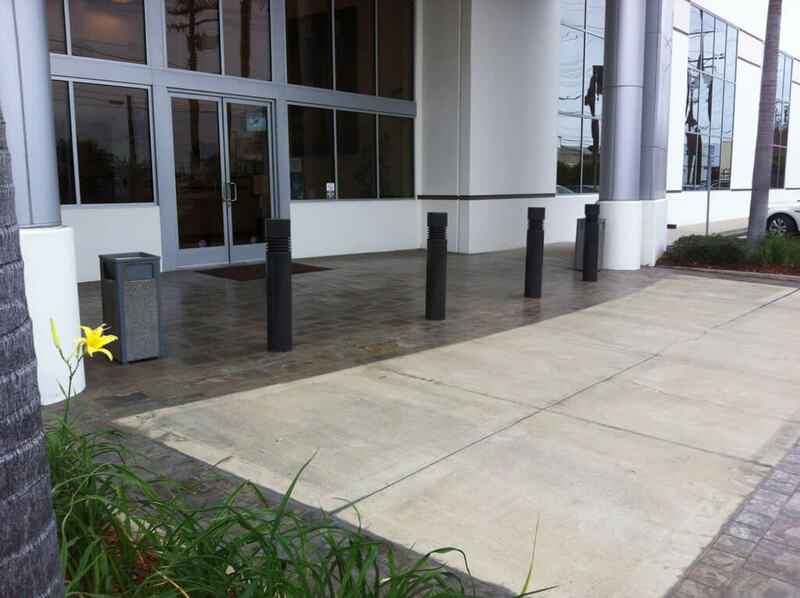 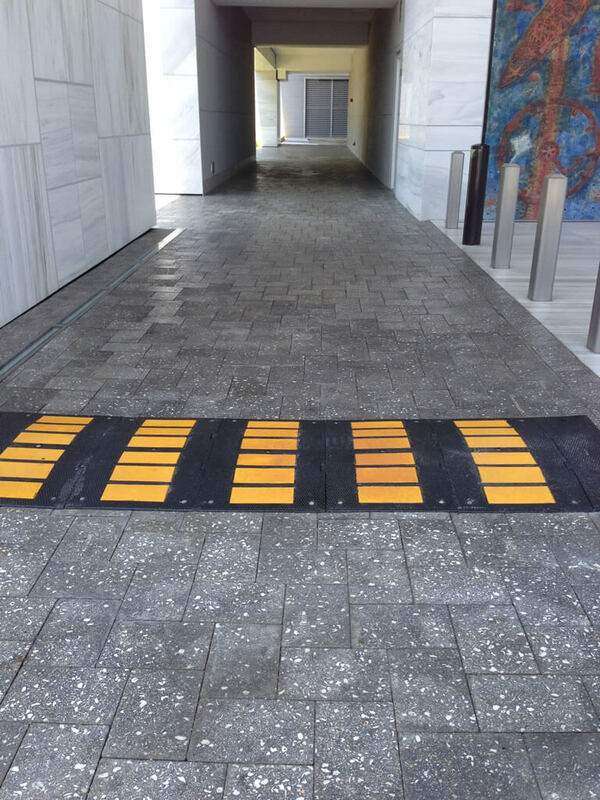 We mobilize across the US and abroad with our durable non slip applications. 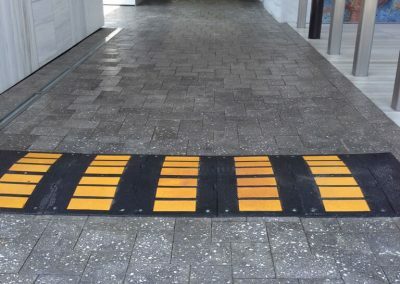 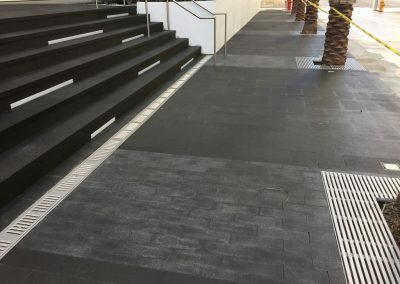 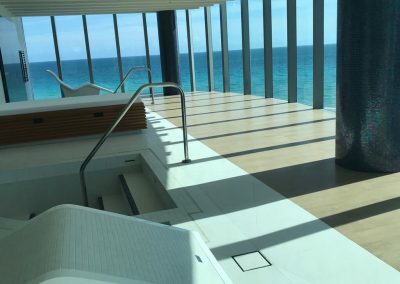 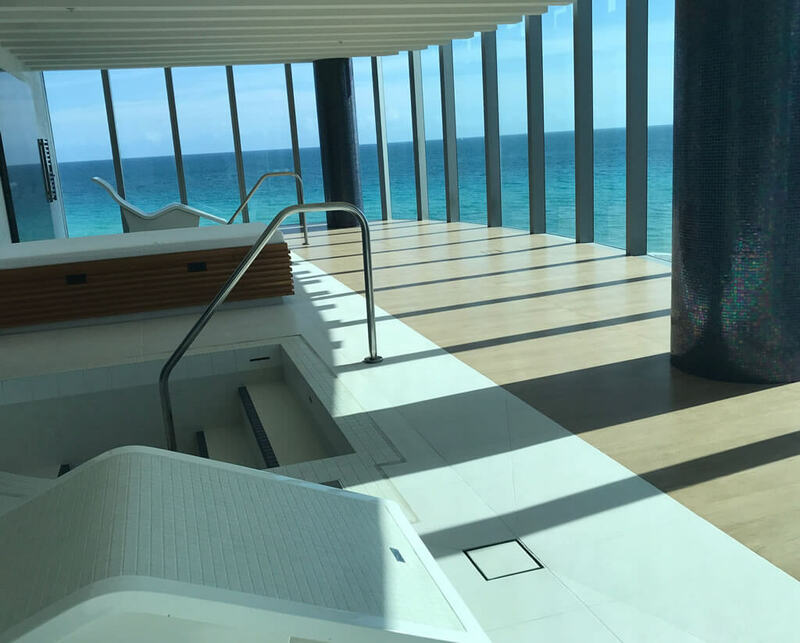 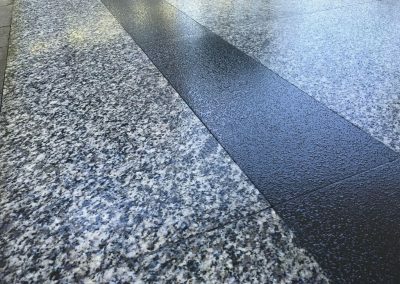 Anti slip for travertine, non slip for marble, non slip for ceramic tiles, non skid for terrazzo, non skid for porcelain tiles and various other surfaces. 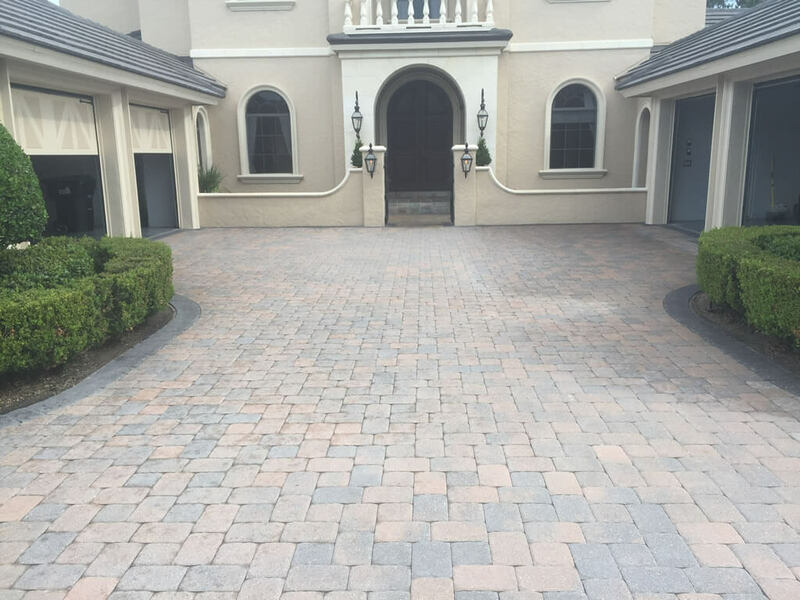 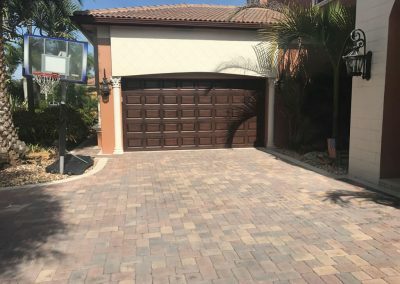 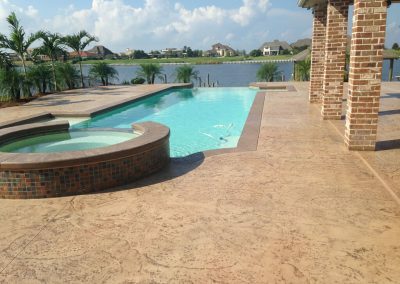 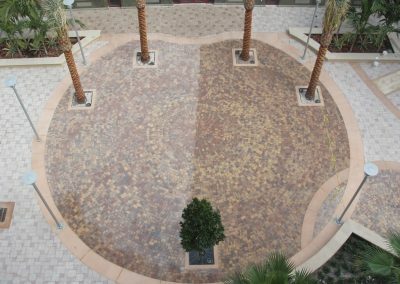 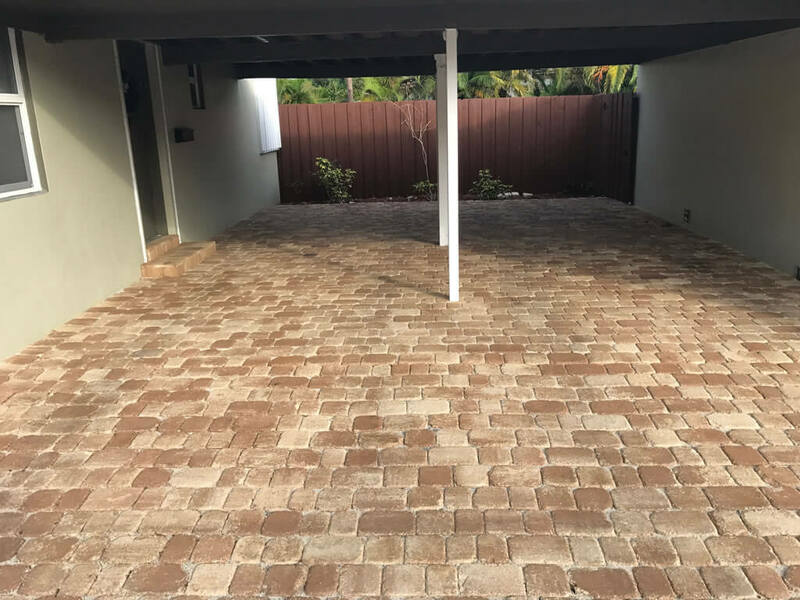 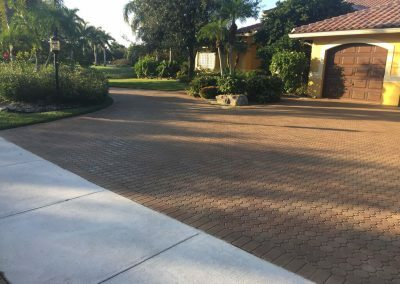 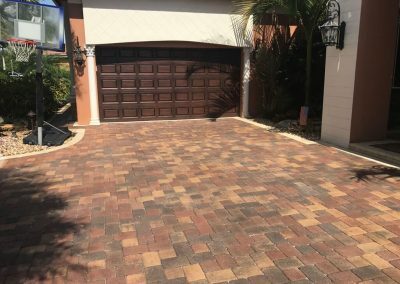 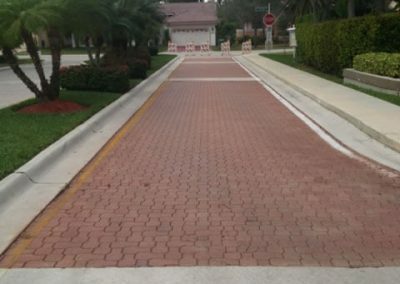 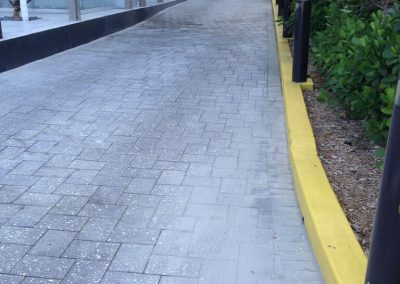 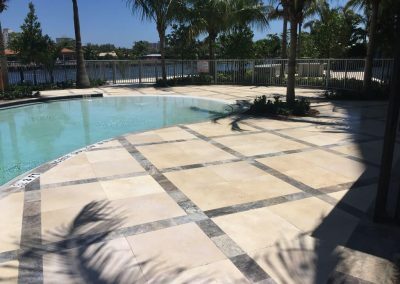 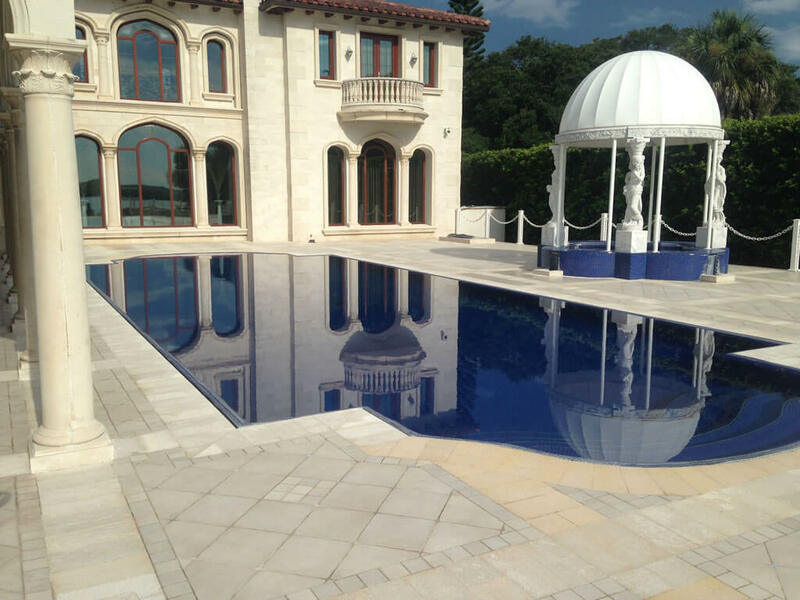 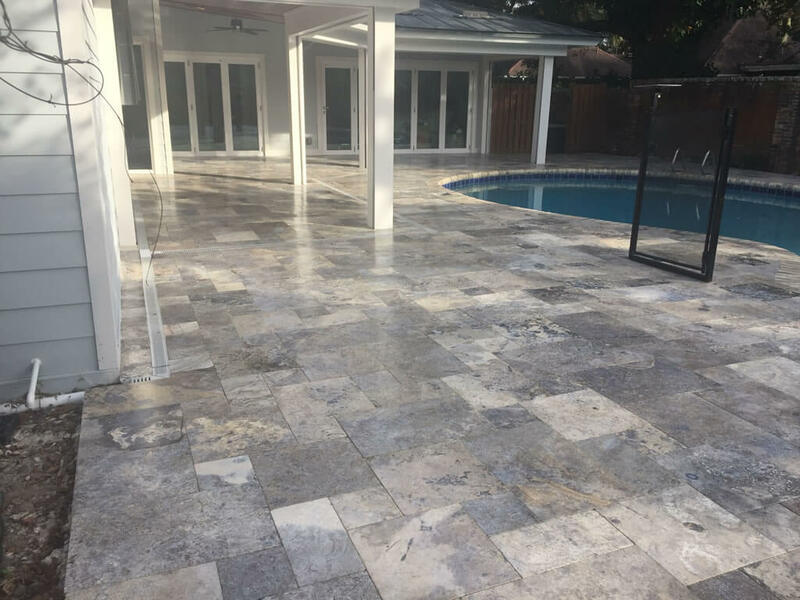 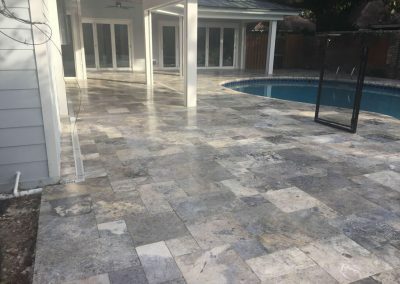 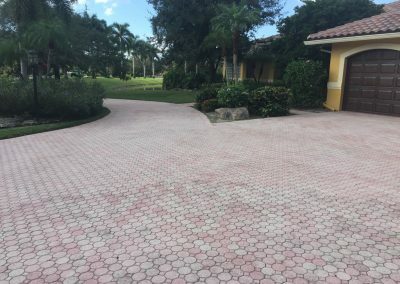 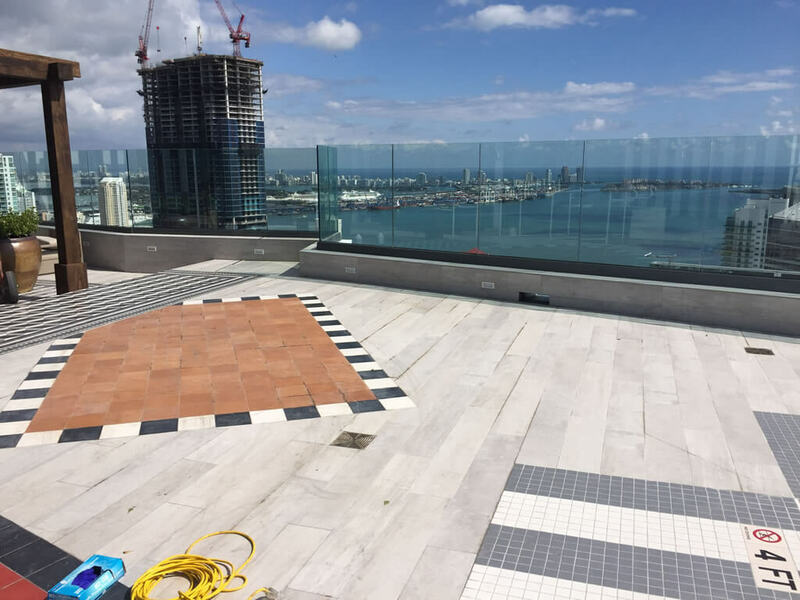 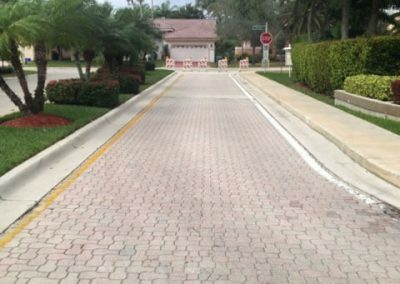 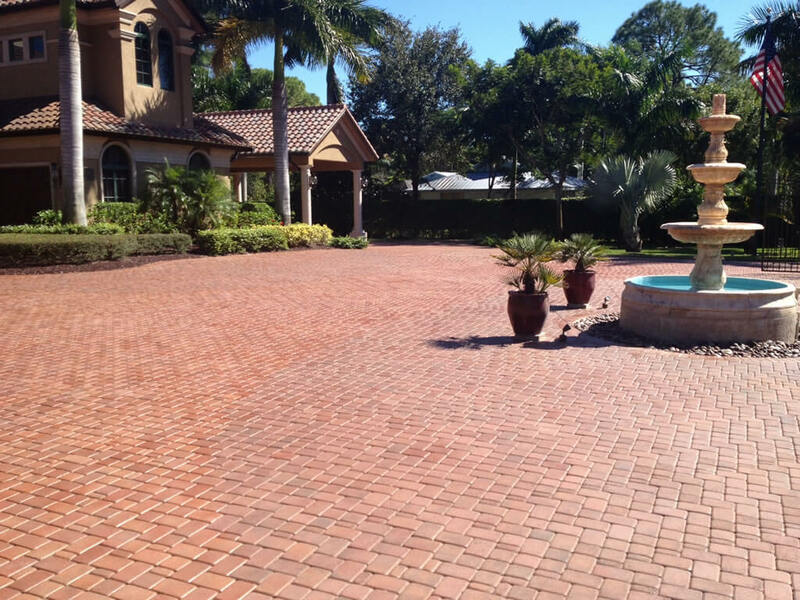 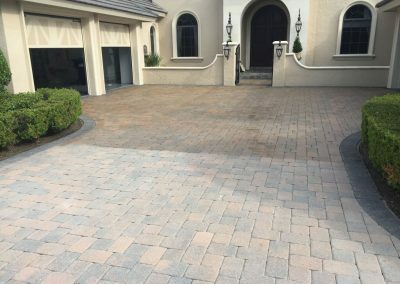 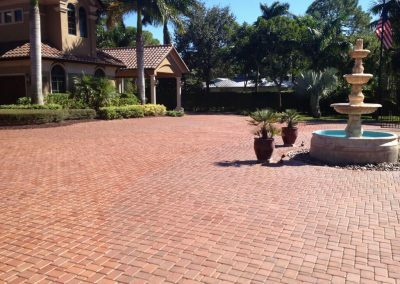 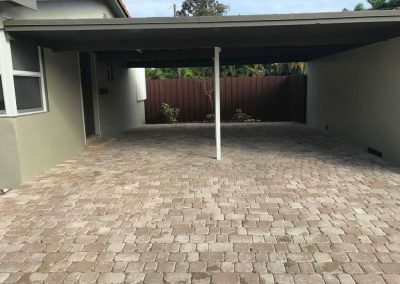 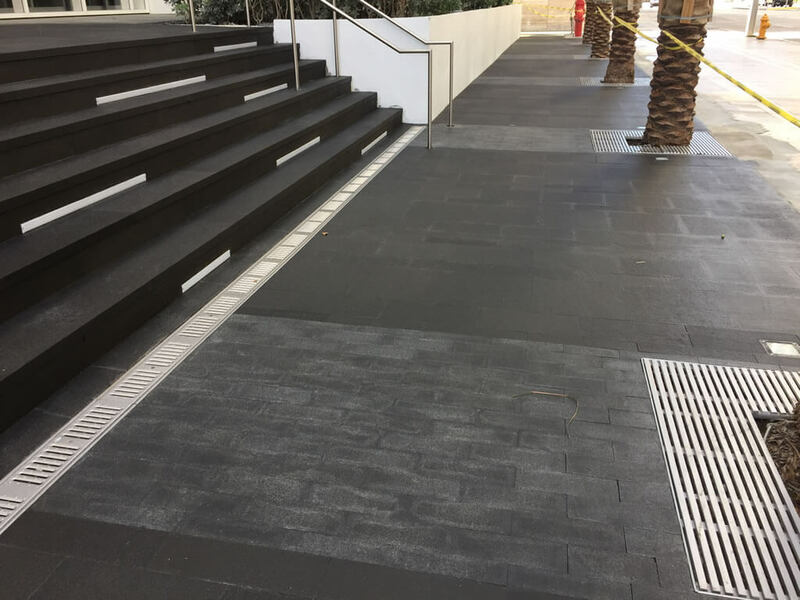 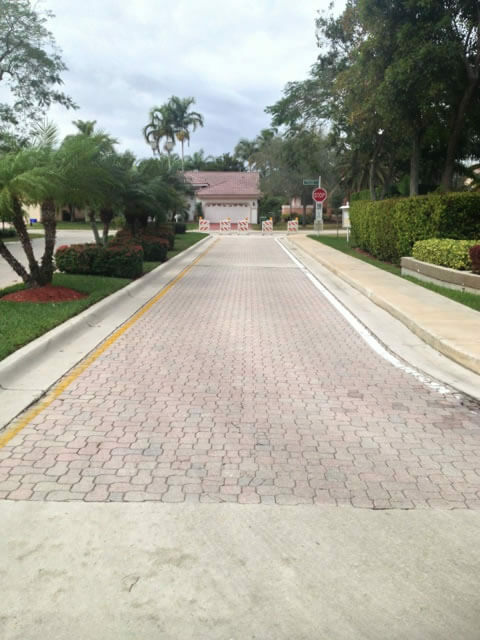 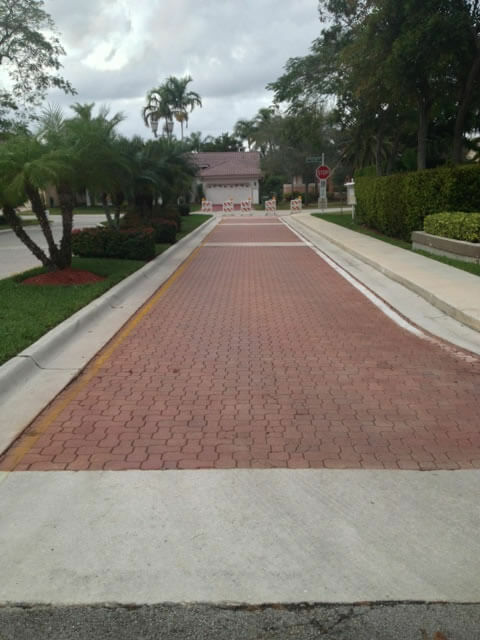 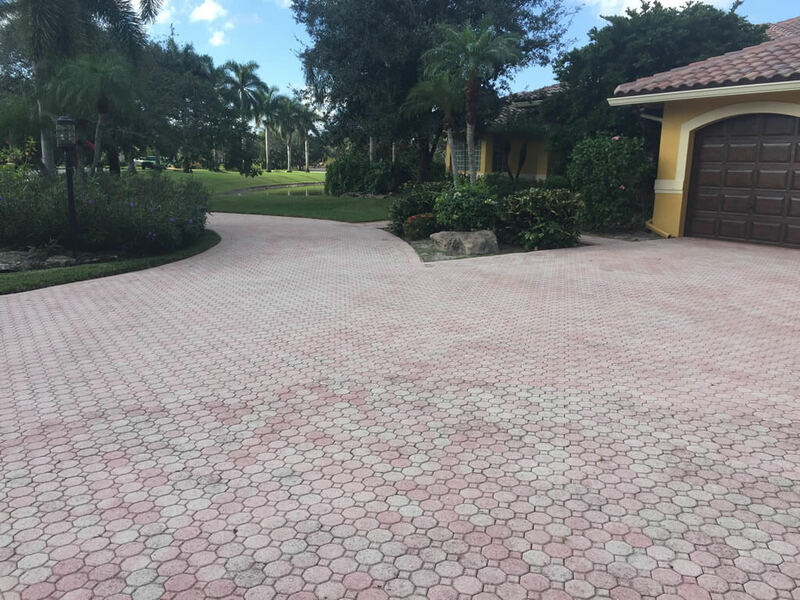 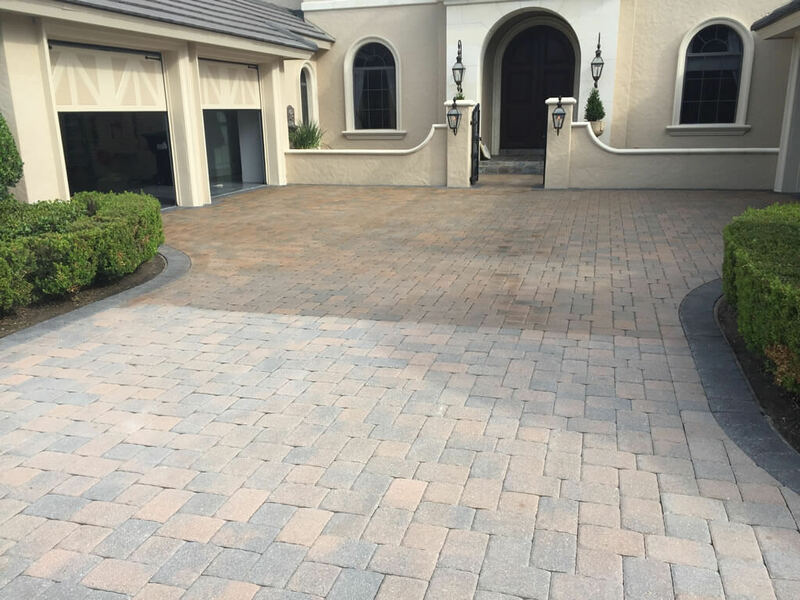 Our product line includes: conventional sealing, and our more durable clear coating process, anti slip applications, and restoring faded pavers with our patented dyeing process to restore faded pavers and stamped concrete. 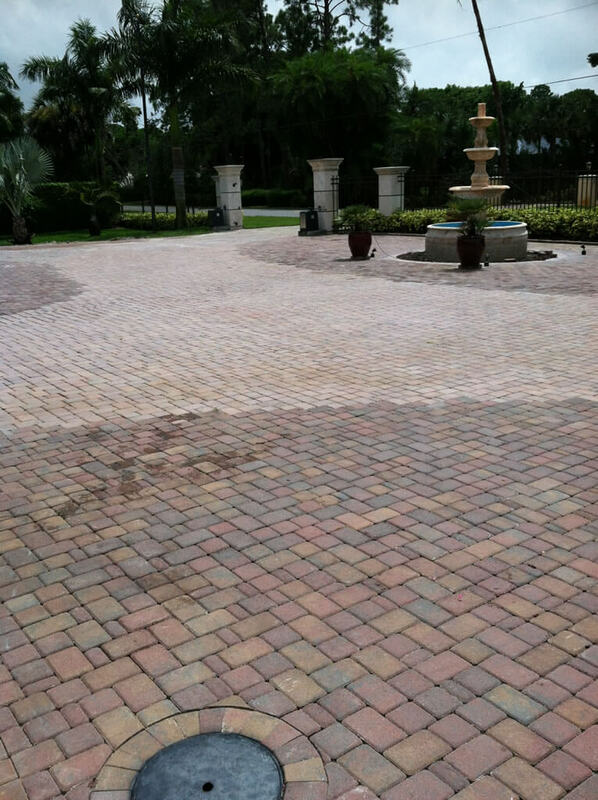 In addition; stripping of sealers and paints with our stripping process. 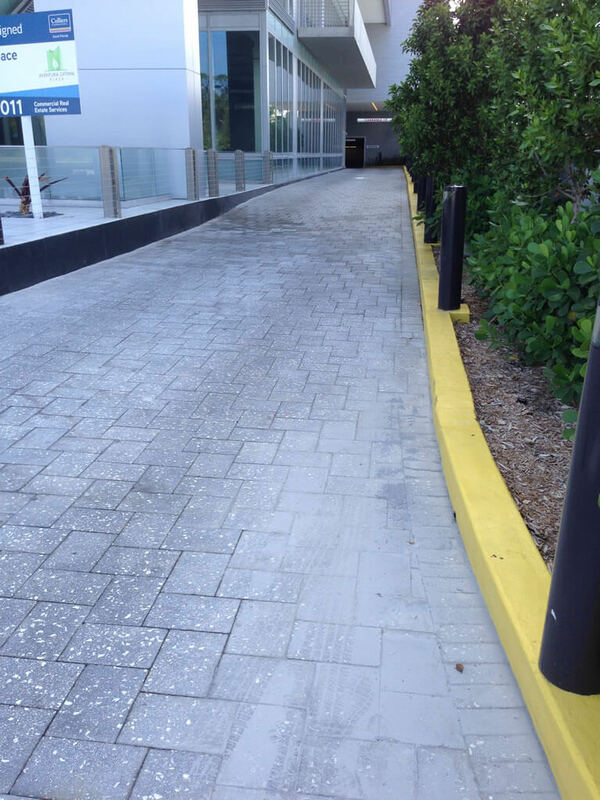 Our flagship coating process is a durable 3 part coating process. Our process differs from conventional sealers. 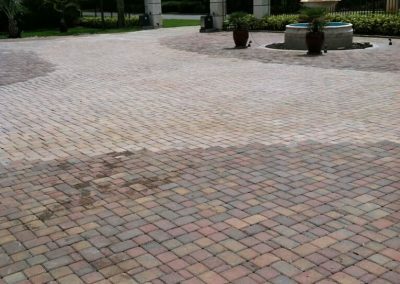 Of course we offer sealing services as well, our coating is more durable and lasts longer than sealer. 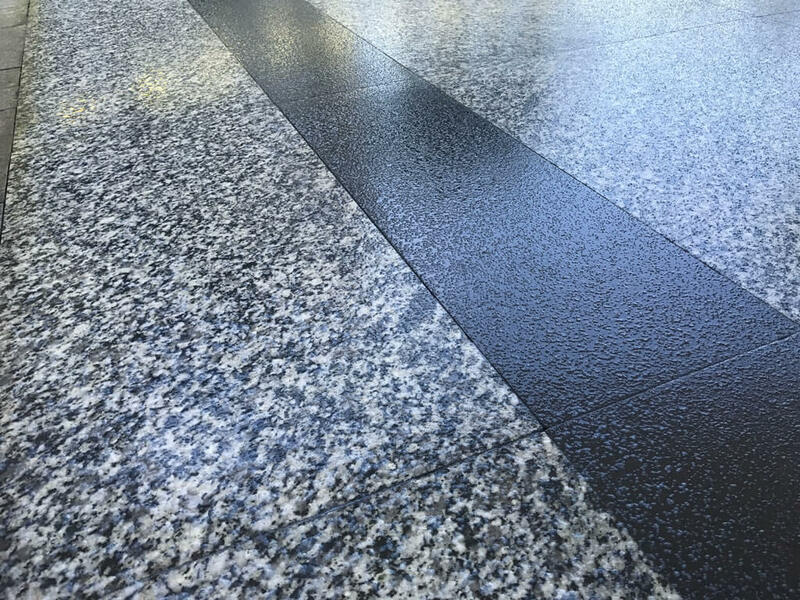 The difference is; all sealers are mono-component, meaning ALL sealers are basically applied by just pouring out of the container and will typically last 1-1.5 yrs. 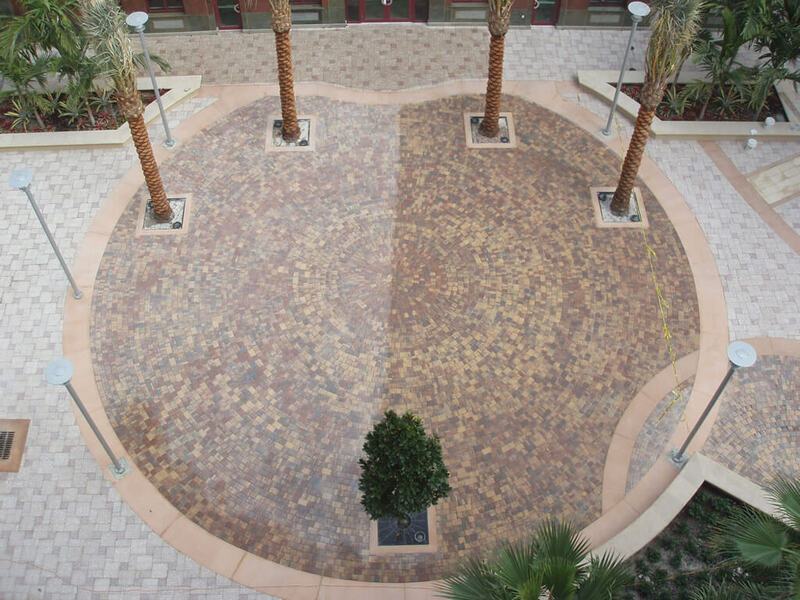 Our multi-component coating is mixed on site and must be applied within a certain time frame. 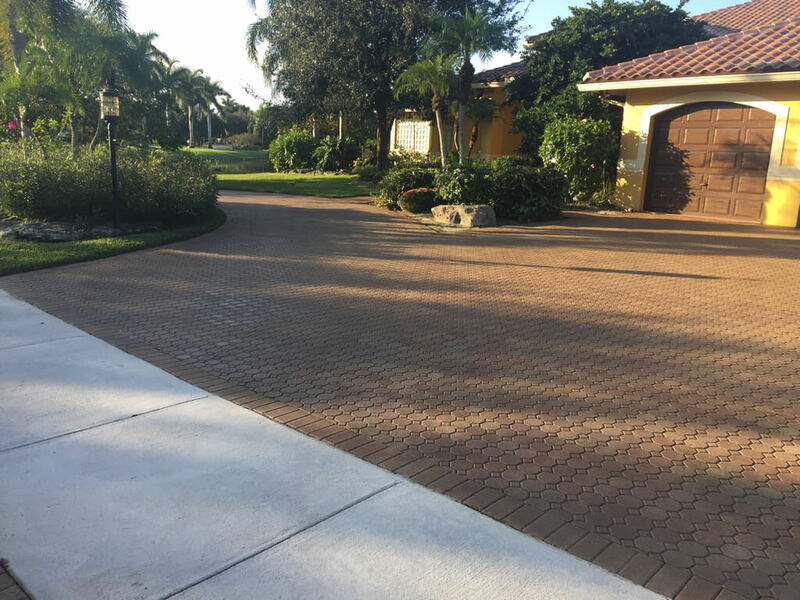 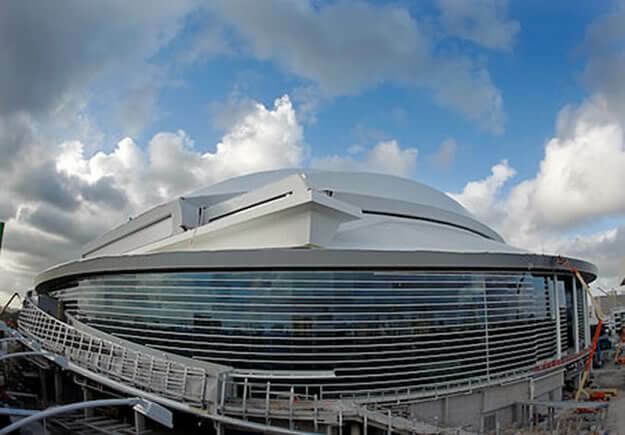 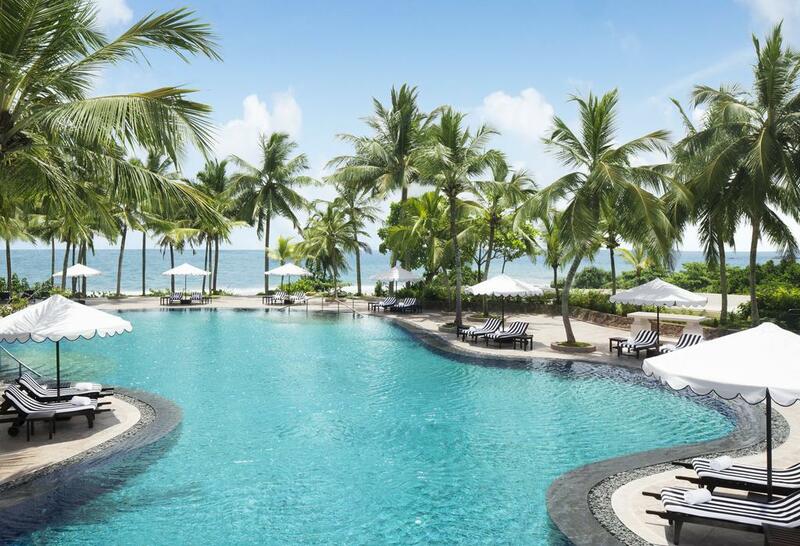 We’re seeing results of 4-7 years+ with our multi-component coating depending upon the surface and conditions.